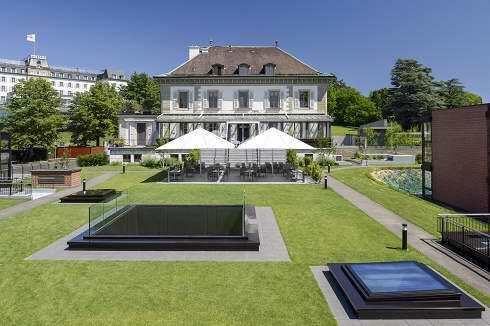 Located in Switzerland, on the shores of Lake Geneva, at the foot of the Alps and in the heart of the diplomatic and international Geneva, the campus of Hotel Management School of Geneva is surrounded by 3 hectares of green space. At 10 minutes from the heart of Geneva and adjacent to the UN Palais des Nations, the school is easily accessible (Cornavin, Autoroute A1, Geneva Cointrin International Airport…). Classroom bathed in natural light and equipped with the latest audio visual equipment. Changing rooms with lockers and sanitary facilities. The gourmet restaurant Vieux-Bois for initiation in serving customers. Outdoor terrace with a view of Ariana Park. 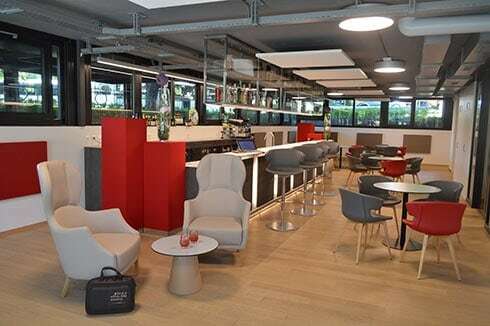 L’Entre’Actes cafeteria and Le Bar reserved for students. 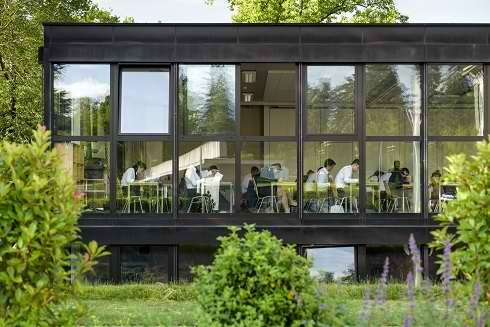 The Hotel Management School of Geneva is committed to a global approach to environmental optimisation. The actions taken concern equipment as well as staff and suppliers. Consideration of the whole chain has made it possible to obtain the first results. Tram 15 – Place des Nations stop. then 5 minutes on foot. Bus 8, 28 Appia stop, F and V Ariana stop. The Hotel Management School is opposite to these. If you are traveling to the Geneva area, please consult our directions and maps to help you get to the campus. Although walk-in visitors are always welcome, we recommend scheduling ahead. Visit begin at the Hotel Management School of Genevas’ Administration Office and we are open most weekdays, and a few Saturdays, during the year. A campus visit typically consists of a 30 minutes information session, led by an admissions representative, followed by a 30 minutes student-led tour. By taking a tour, attending an information session and — if you’d like — interviewing with one of our senior interviewers, you’ll get a good look at the Hotel Management School and get to talk to a number of people who can share their personal Hotel School’s stories with you. In the end, our goal is to help you decide if Hotel Management School of Geneva is a good fit for you.